Over the past couple of months, many companies have taken a stand in their policies and initiatives to address the lack of inclusion displayed in the recent executive orders. 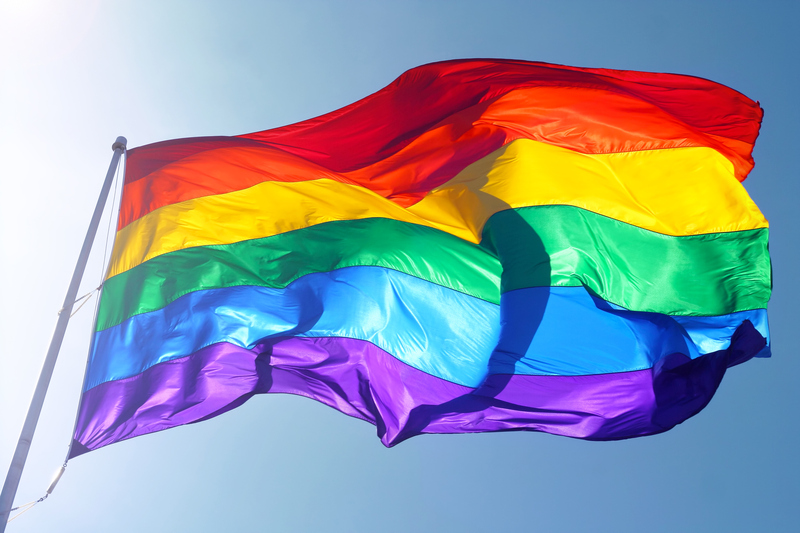 These policies and initiatives play a larger role in defining the relationship between the company and its community, so we wonder how this would play out for the LGBTQI community. Following the Supreme Court decision last year, several states and even Congressional legislation has aimed to provide business owners and service providers with the ability to decline services based on religious belief. Meaning: If they don’t want to sell a member of the LGBTQI community a cake for his or her wedding, they would be shielded by law from legal action. A recent case in point is the lawsuit filed in Washington State by a florist who sought preclusion from the state’s anti-discrimination law due to her religious beliefs. The Washington State Supreme Court did not agree, and in unanimous decision upheld the law, citing the greater good was at stake. Swipes at inclusiveness have not been confined to the LGBTQI community. Among #45’s many executive orders have sought to single out specific groups for deportation, to unreasonable search and seizures, and generally plays into the fear of those who would love to see the idea of inclusiveness fade away. According to its website, the company felt it needed to address the refuge crisis, particularly the new development caused by the executive order requiring the immediate deportation of refuges entering the United States. Another company, 84 Lumber from Sewell, NJ, took a different tact during the Super Bowl, and while its commercial had different readings for different people, the message clearly struck at the heart of the current movement designed to weaken the strength of building a more inclusive, open country. Why would companies risk their image? What would they have to gain? This story by Verge points out that the focus by Airbnb came about because of questions surrounding discrimination against Black guests, and the company felt compelled to address the lack of inclusiveness in in its own community. Other companies, such as Lyft and Starbuck’s, also jumped into the fray by announcing initiatives taking aim to counter the current political environment. Although Corporate Social Responsibility has been around for years, Reed Bundy argues the environment is now right for companies to double down on policies and programs that reinforce how they support human rights, employees and general a more open, inclusive culture. While talk has circulated since Trump’s inauguration about support for the First Amendment Defense Act, it’s unclear how corporate America would stand. Like this piece in the HuffPost points out, companies in Silicon Valley took at stand against North Carolina’s Bathroom Bill (HB 2). However, many familiar companies participated in sponsoring the GOP Convention. Why does it matter? Corporate Social Responsibility includes those policies and initiatives that benefit society. They include not only awareness of the environmental impact but also social issues facing their customers and employees. Branding includes both the outward and inward facing policies that define its reputation with employees, customers, and beyond. It is its promise to the world. It defines who a company is. These practices can be subtle. L-Word loyalists probably remember Dana Fairbanks’ advertising gig with Subaru. The demographic watching the show watched as the Subaru ads that Dana’s character participated in were intimately tied to Dana’s coming out. Even though straight viewers might not have wrapped their minds around the brevity of the marketing, LGBT viewers probably did. Subaru was not the only company focusing on the LGBT community. The current administration, as well as the GOP-dominated Congress seem content to roll back the progress for the LGBTQI community. Yes, the community still has work to do: Trans* folks still need support, and addiction and suicide still plague our younger family members. But the degree of openness now is worlds apart from even 8 years ago. And speculation abounds with the White House’s complete erasure of an LGBT presence on its website as well as the VP’s support for Conversion Therapy. We hope to explore these issues over the next few months. We want to hear from you: what policies and initiatives would you like to see in your favorite business? Do you have a positive experience with a local business? Or do you own a business that seeks to improve its branding through these types of policies? What is your impression of companies that seek to exclude the LGBT community?